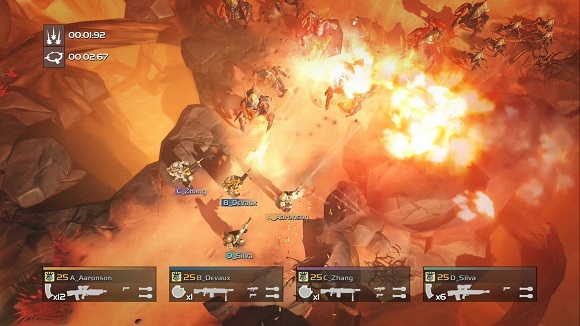 Built for both single-player campaigns and up to four player co-op missions, Helldivers is a top-down shooter set in a satirical and dystopian future where mankind is ruled by a managed democracy. Set in a dystopian future, players fight to protect “Super Earth,” where a managed democracy has blurred the lines between military and government rule. 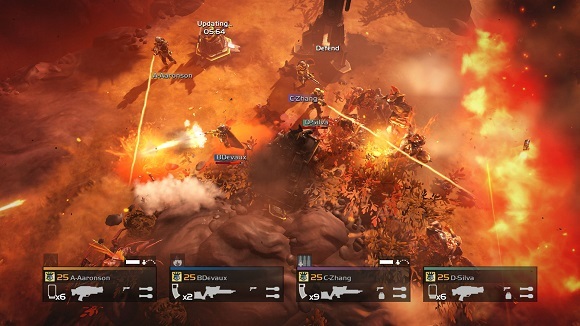 We are losing the war, and the Helldivers are the last line of defense against three invading enemy species. 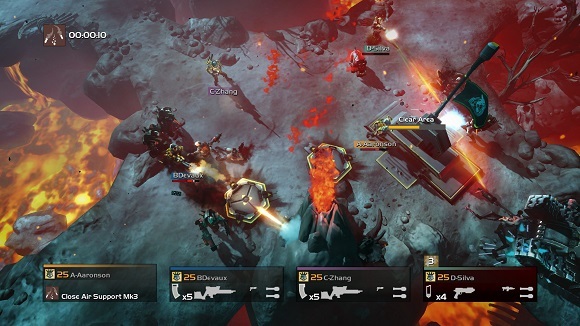 Helldivers focuses on teamwork, as squads battle formidable foes to become Heroes of the Federation. Communication is key; cover your teammates as they crawl to safety and revive your fallen comrades to get them back into the fight. Tactically operate weapons and gear as a team and use the full might of the military with a unique signaling mechanic. Need reinforcements? Send up distress signals and have friends join the action any time. 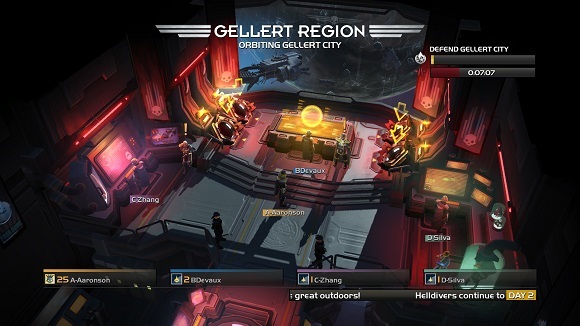 Up to four players can play together, either online or locally around the same television. 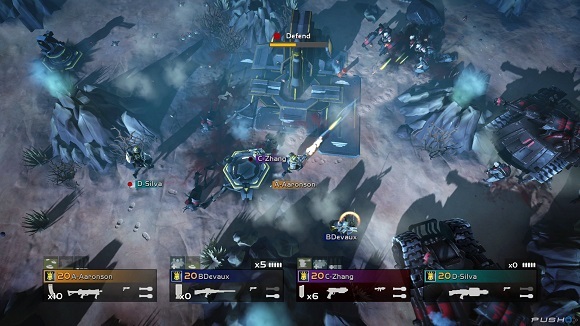 Helldivers features Cross-Play and Cross-Save functionality, where players on the console of their choice can fight together to survive in an unforgiving environment.